(Central Islip, N.Y., Feb. 8, 2017) – The three-time Atlantic League champion Long Island Ducks today announced the signing of right-handed pitcher Chin-Hui Tsao. The reliever begins his first season in the Atlantic League and 11th in professional baseball. 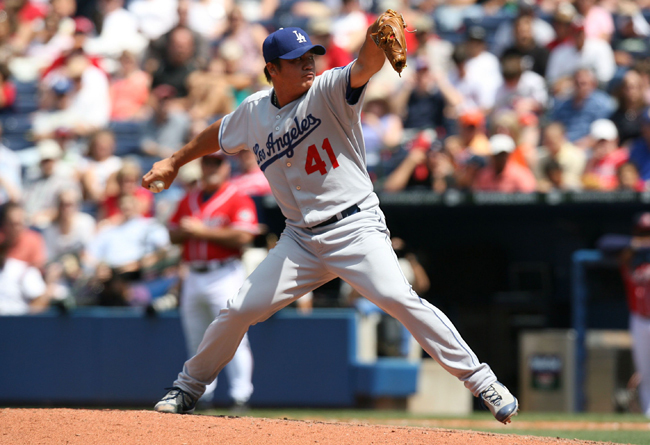 Tsao has spent parts of six seasons in the Major Leagues, including three with the Colorado Rockies (2003-05) and three with the Los Angeles Dodgers (2007, 2015-16). He became the first Taiwanese pitcher to reach the big leagues when he made his debut on July 25, 2003, tossing six and one-third innings of three-run ball in a 7-3 win over the Milwaukee Brewers. Less than one month later, he became the first Taiwanese player to record a hit in the Majors, doubling off New York Mets pitcher Steve Trachsel at Shea Stadium. Tsao went on to make 57 career appearances (eight starts) in the big leagues and totaled four saves along with 67 strikeouts in 97 innings of work. The 35-year-old spent most of the 2016 season with Triple-A Oklahoma City. He compiled a 1-1 record with a 3.31 ERA, six saves and 14 strikeouts in 17 games. In 131 minor league games (67 starts), the two-time Olympian (2004, 2008) has a 33-24 record with a 2.89 ERA, 18 saves and 514 strikeouts to just 114 walks. His career began in 2000 with Single-A Asheville where he earned several accolades, including South Atlantic League Most Valuable Pitcher and Rockies Minor League Player of the Year. Tsao was originally signed as an undrafted free agent by the Rockies in 1999.